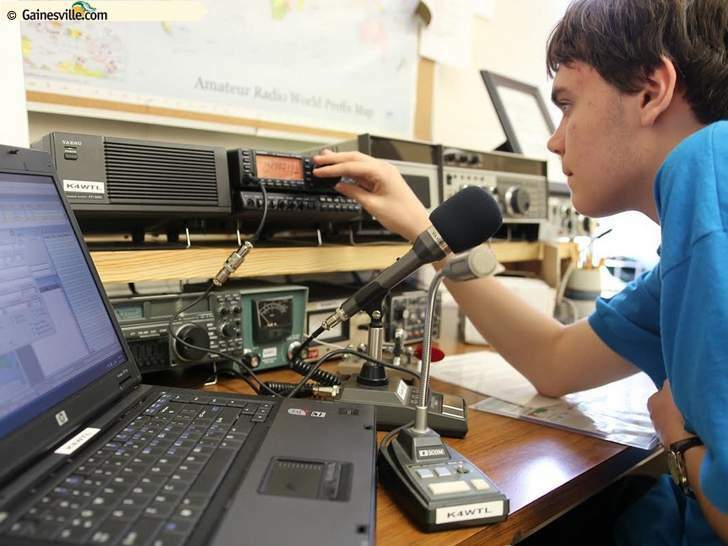 Bryan Clark, a 15-year-old Loften High School student and vice president of the ham radio club, attempts to make contact with other radio operators. The high schoolers stand in a cluster around a desk in the classroom, listening to the crunching waves of static as the operator turns a dial on the radio, searching for a clear signal. “If they sound like Donald Duck, then you’re a little off frequency,” said club adviser Bob Lightner. Students at the Professional Academies Magnet at Loften High School are using radio waves to reach out to people across the world. Under the call sign K4WTL, club members have already spoken to operators in several different countries. The students have plans to build and launch their own satellites and even contact the International Space Station.